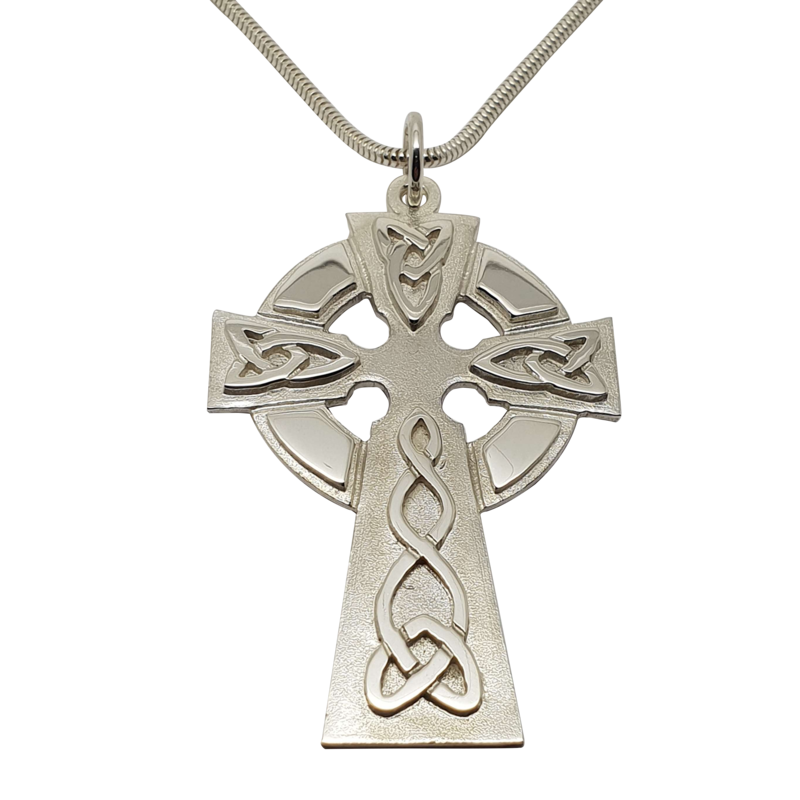 Our Celtic Crosses were inspired by the beautiful historic cemeteries on the Island – Ashaig Cemetery by the beach in the south of the island, Old Kilmarie Cemetery – which is filled with bluebells in Spring and Kilmuir Cemetery – the resting place of Flora MacDonald and a modern day legend, Lee Alexander McQueen. Our crosses feature a traditional Celtic Triskelle symbol. 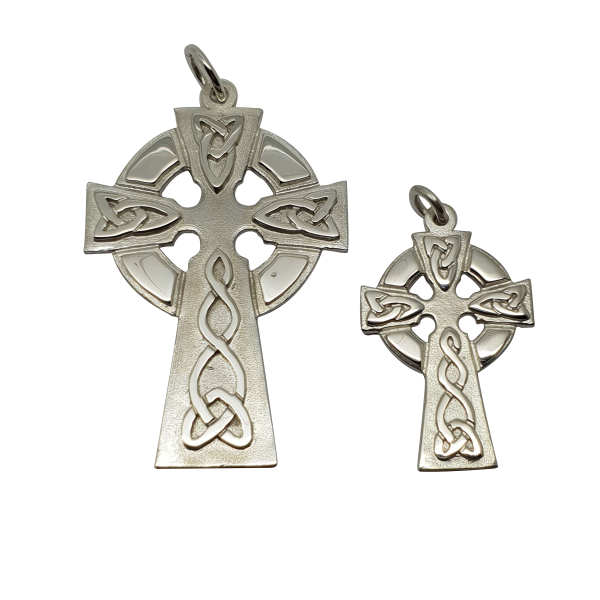 Made exclusively by Love from Skye on the Isle of Skye from Sterling silver, this version is the largest of our crosses measuring 50mm x 32mm, with an 18 inch medium weight snake chain.